Gala has its source in the mind of Paulo Olarte in the year of 2009 during a trip to the central cordilleras of the the andes, to be exactly “the valley of cocora” in Colombia, wich is the home of the wax palm, the highest palm in the world. In this scenario, where the earth and the sky seemed to touch each other, the idea was born to make a space for electronic music, which isn ́t ephemeral and just for the moment. With “Mil años” and the help of Maurice Aymard the whole project gets its form, and Gala is ready to roll on. By the way Gala is also the name of Maurice Aymard ́s daughter. So here we are. 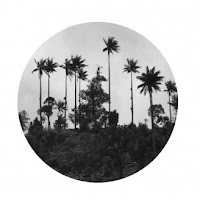 Gala has its source in the mind of Paulo Olarte in the year of 2009 during a trip to the central cordilleras of the the andes, to be exactly "the valley of cocora" in Colombia, wich is the home of the wax palm, the highest palm in the world. In this scenario, where the earth and the sky seemed to touch each other, the idea was born to make a space for electronic music, which isn?t ephemeral and just for the moment. With "Mil años" and the help of Maurice Aymard the whole project gets its form, and Gala is ready to roll on. By the way Gala is also the name of Maurice Aymard?s daughter. So here we are... The track "Mil años" was written by Paulo Olarte and dedicated to his daughter Emiliana. The romantic lyrics of this track, inspired by the way people in the andes live, where things are not forever, but at least for a thousend years, reflect the deep feelings which are behind this new label coming out with their first vinyl and where the music and humaneness are in foreground. Paulo Olarte?s "Mil años" is a very southamerican lovesong, tearing appart all kind of barriers between generes, but still being so in love with electronic dance music and the functionality of it, that you can?t just get away from it. The remix of "Mil años" is in charge of Goldwill, you see it stays all in the family. A slow melancholic monster which grows and grows to catch you and never let you go. So no more words and enjoy this piece of acetate which has also a very special design for music lovers/ collectors. Solo por ti.